Okay! 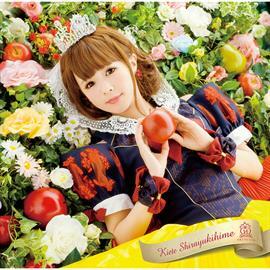 Musume Time: Snow White, where are you...? 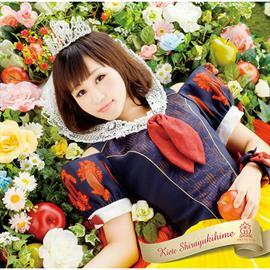 Houkago Princesses 'Kiete, Shirayukihime...' Covers and Track List Unveiled! 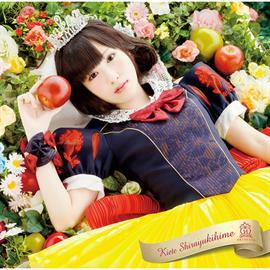 Snow White, where are you...? 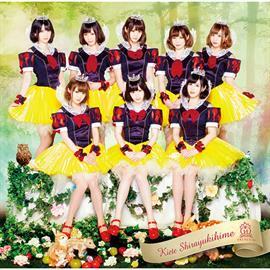 Houkago Princesses 'Kiete, Shirayukihime...' Covers and Track List Unveiled! I'm hoarding my updates and then throwing them out at you right now, I swear, and it makes me feel like I have a News Blog as opposed to a random, Idol-loving Blog... however, updates are important, and this one is one of the most important to me, because if you haven't guess already by the title, as it's all about dat HouPri! 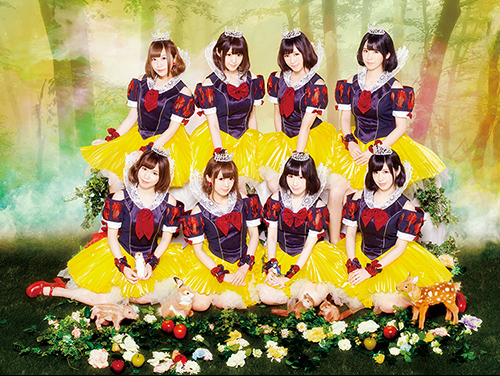 Today on September 18th, the promo image and single covers for Houkago Princesses first major single have been unveiled, revealing the second fairytale-themed song in what looks to be the groups new, recurring theme since partnering with Universal! From the promo image alone, this also looks to be Universal's attempt at hinting to Disney they kinda-sorta-wanna have a partnership with them, cause... damn, it's Disney, and who doesn't like a bit of Disney? So long as HouPri don't go down the Cars route, I'm fine and dandy with whatever Universal throw at them, Disney or Princess wise, y'know? Anyway, regarding the promo image, I found out about it after a friend of mine on Twitter, Akeda's his name, sent me a tweet from BARKS News that showed off the promo and, *gasp*, the fact that HouPri will also have their first anime tie-in, too! I wept a little after seeing the image and then promptly bolted out of my bed to find out more, because it doesn't just stop at the promo, I tell ya! And nope, it didn't! ROLL THE COVERS!!! Ever since the single was announced, I've kind of been waiting for the covers to be released, and now they are here, right before me, looking so lovely and overly-photoshopped, and so princessy! 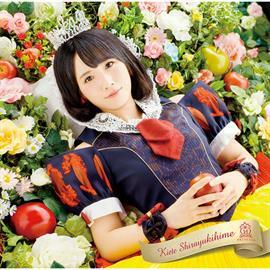 I was wondering what they would do with the Snow White costume actually, because it's one of my least favourite costumes (and Snow White is my least favourite Princess from Disney, too) however I am so happy to see that these designs are actually really freaking gorgeous and still classic despite being a lot more modern. 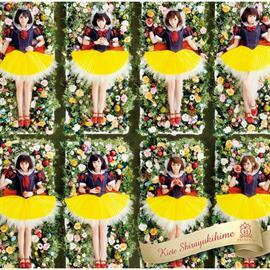 Otherwise, pretty covers, and the detailing on the costumes is <3 !!! Actually, seeing the covers now and finding that they still retain the fairytale like quality Seifuku Cinderella held, I feel a lot more excited about the PV and what it might tell. I mean, it could just be a dance shot for all I know, but I am hoping it will have some personality to it, too. Also, am I not the only one excited about the fact that Houkago Princess are living up to the Princess part of their name? Raise your hand if you're like me, and ecstatic that they've become the Princesses of the Idol Kingdom! Before I forget, remember that I mentioned the group will have their very first anime tie-in? Yeah, it's for their b-side, which has finally been named! 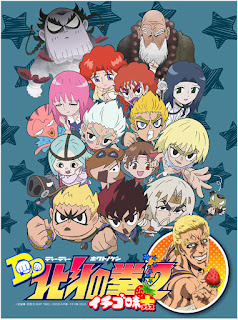 Kese nai, nanatsu no hoshi is the second and final track on the groups new single, and will be the Ending theme for the anime DD Fist of the North Star Ichigo Aji+, which is set to air on October 6th! 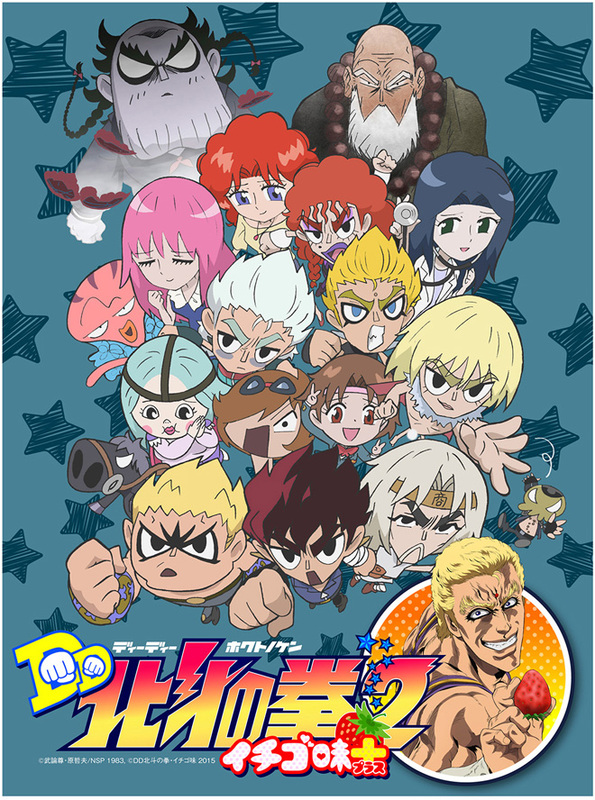 This is a series follow-up from the 2013 adaption of the DD Fist of the North Star series. Whilst I may not be familiar with the anime (and will certainly not watch it, because I'm an art snob, and that is not nice to look at for me) I feel seriously happy that HouPri have been given the chance to provide a song for an anime, and that they are being promoted in another way! I hope that their anime tie-ins do not end here, either, because this great for them, and for the fans of HouPri! I just pray that with this first tie-in, the girls will get the exposure they need, and that maybe fans of the group will also watch the anime and see if they enjoy it! Except me, that is, cause art snob. 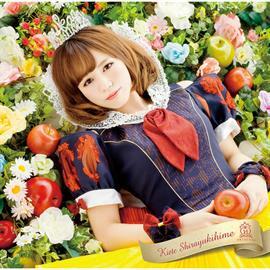 Kiete, Shirayukihime will be released on October 28th, and will come in 10 different versions, including Regular Edition, Limited DVD version, and eight solo member covers! Two tracks plus the instrumentals for the songs are included, as well as a DVD on the Limited CD+DVD version. 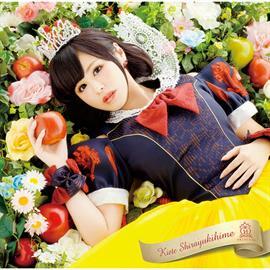 If you could choose one Snow White from HouPri, which member would you pick for a kiss, and which one would you give the poisoned apple? Until next time! Take care, stay happy and healthy, and love Idols from the bottom of your heart! Michishige gets the kiss. 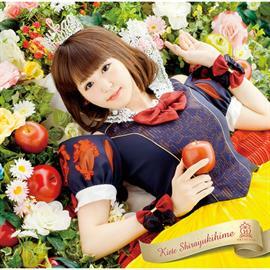 Couldn't bring myself to give the apple to a HouPri member. Can I give it to Momochi, instead?